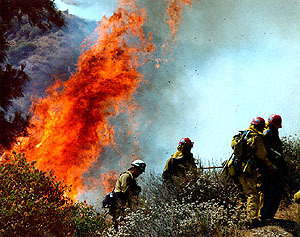 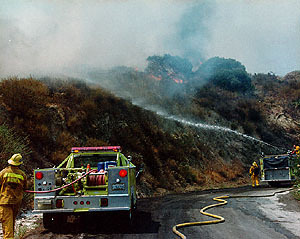 "Fourth of July in Glendale"
On July 4, 1996 a fire broke out in Brand park in the city of Glendale. 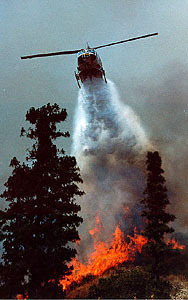 Los Angeles County helicopters assisted in the firefighting efforts. 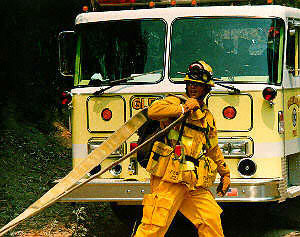 Here we see a firefighter pulling a supply line.